Pool tables have come a long way since the rich history of billiards began in the 15th century. Today, pool tables can be constructed using a wide range of materials, colors and styles, opening the door to endless possibilities for billiard room designs. 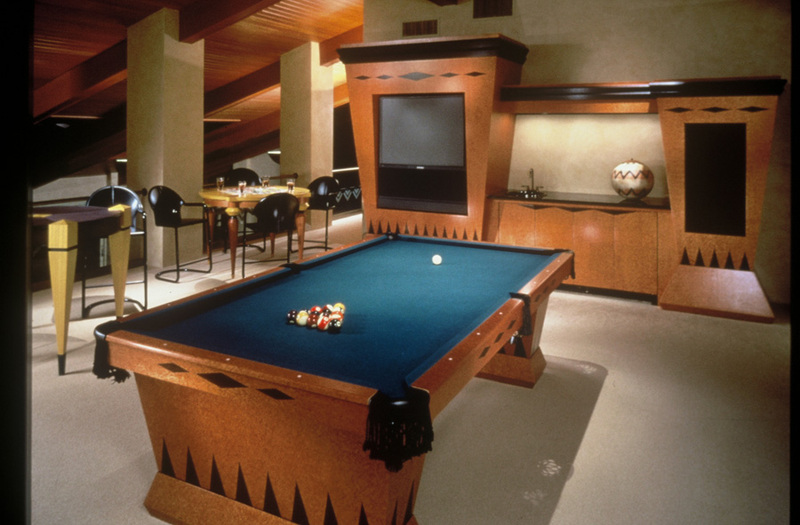 With the help of a professional, a billiard room can be designed as not only a fun and entertaining gathering space, but also as a unique expansion of your home’s style and your own personal aesthetic. One of my clients wanted a spacious billiard room complete with sitting areas and a media center so there would be something for everyone to enjoy. I have to admit, I had a lot of fun with this design project. Inspired by the backgammon board, I used a diamond motif to add eclectic interest and highlight the unique angles of the pool table and media center. The two handcrafted bar tables became the perfect finishing touch to add intriguing shapes and fun pops of color. A modern pool table perfectly suits the contemporary look and feel of any space. Curving arches immediately catch the eye to create an intriguing focal point. I love the warm, glowing palette, as well as the textures of coffered ceilings, which can give pool rooms a rich, rustic elegance. A traditional billiard room has a fabulous Old World feel. Dark greenery not only adds sculptural appeal, but also brings out the green accents in a gorgeous red and gold rug. Decorative carvings of a stately pool table and tray ceilings can be beautifully echoed by wall patterns and scrolled iron railings. I’d love the opportunity to design another billiard room or other special purpose room that’s beautiful and enjoyable to entertain in. 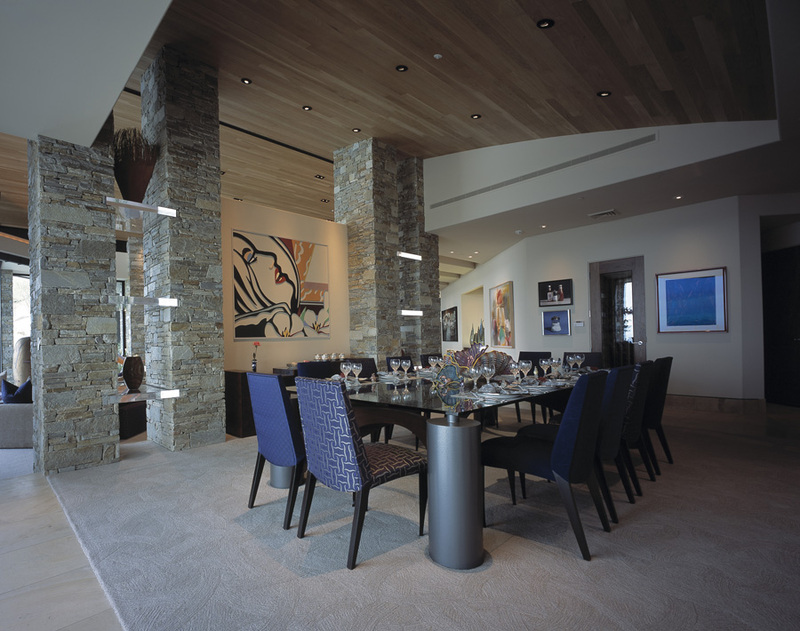 Browse the gallery on my website to see samples of my design work, and then contact me at 435.655.9443 in Park City or 480.998.2344 in Scottsdale when you’re ready to discuss a potential home design project. An attractive buffet not only lends functionality to a dining space, it can enhance or even change the appearance and ambiance of a room. I incorporate them often to add the right touch of homey and grounded energy to cozy living spaces. 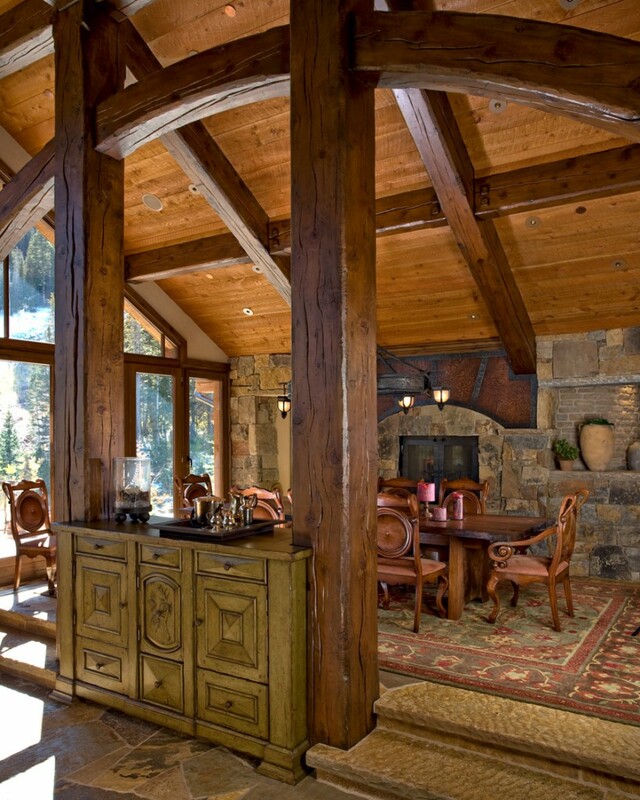 In this open-concept, mountain-rustic home, I nestled a buffet between two wood support columns that separate the dining room from the rest of the living area. The buffet, along with the subtle steps leading into the dining space, distinguishes the area sufficiently to emulate a private retreat without detracting from the grandness of the home. Any well-crafted buffet may serve as a visual anchor to a dining space, but this buffet takes the rustic style to new and beautiful heights. The attractive art across the front ties in with the painting placed directly above. The brilliant gold throughout connects with the warm glow of the lamp, the blooms on the table and other gold elements within the room. The right style of a buffet can also be at home amidst contemporary styles. Here, we kept the lines simple and made sure the buffet blends with other decor elements. It provides unobtrusive function that won’t detract from the large contemporary painting or other works of art. When buffets are not being used to display food, they provide a place to display decorative items. A stately buffet offers an ideal setting for displaying valuable china and attractive accent lamps. Built-in buffets link the kitchen and dining areas, which is a practical and attractive way to add visual spaciousness to both rooms, in lieu of an open-concept design. Dishes can quickly be placed directly from the oven onto the buffet – a big time saver and space saver for parties and family gatherings. Does your dining room fit your personal style? 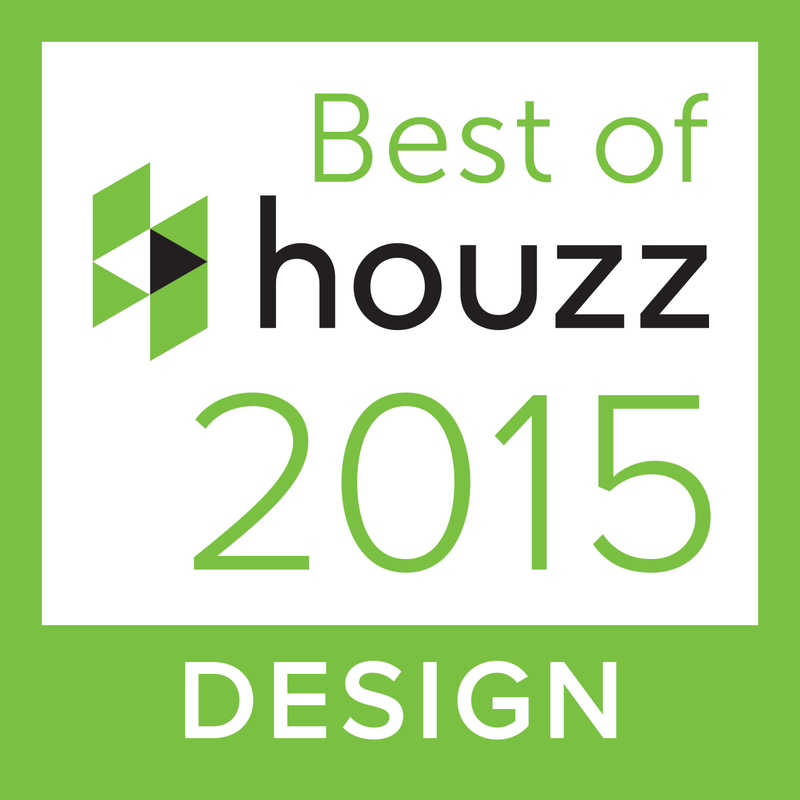 Let my team at Paula Berg Design Associates help you with your design needs. Contact me for a design consultation today. Why limit your living room to a fireplace and media center when you can amp up entertaining power even more with a full home bar? Great rooms and open floor plans that lend themselves to large living spaces offer perfect opportunities for incorporating functional and sophisticated home bars. These additions can be thoughtfully designed to seamlessly flow with the rest of the architecture and decor, while also enhancing the space with gorgeous finishes. For a client who loves to entertain, me and my team designed this open kitchen and great room in a way that allows the kitchen island countertop to be a breakfast bar by day and a full cocktail bar by night. This multi-purpose design encourages gathering and socializing no matter how casual or formal the occasion. I used clean lines, natural stone countertops and rich wood finishes to seamlessly connect this sleek and cozy bar area to the rest of the living room. Open shelving holding collections of art also extend around the bar to create cohesiveness, while adding color and interest to this space. 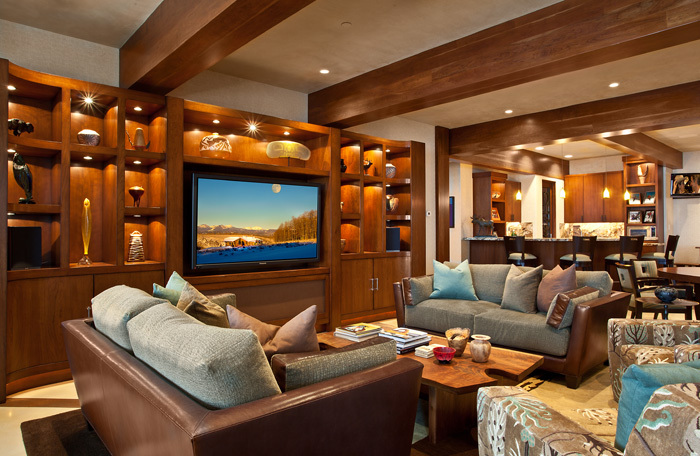 Whether you want a home bar for entertaining or a spacious library for studying, me and my design team can help you achieve luxurious living spaces tailored to your passions, hobbies and lifestyle. 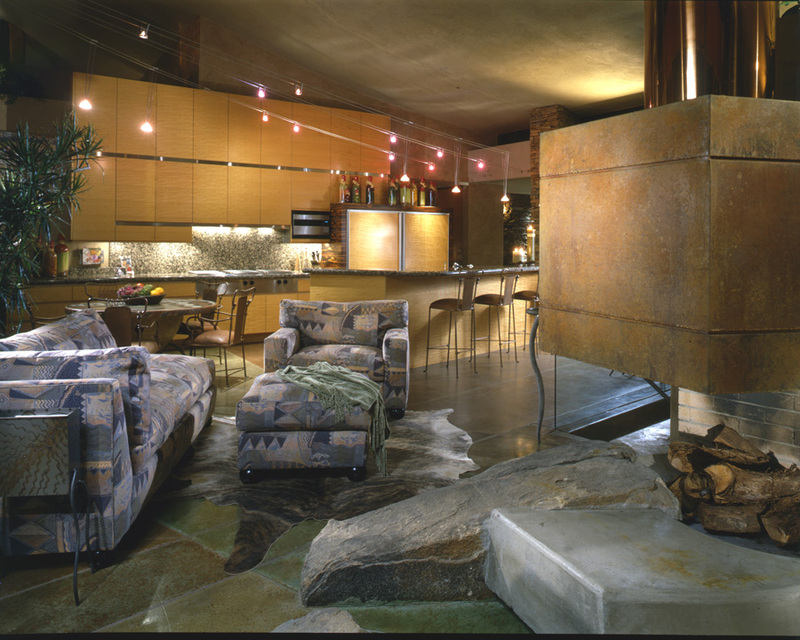 Contact Paula Berg Design Associates in Park City or Scottsdale online or by phone to learn how we can transform your home not only into a sanctuary, but also into a work of art. 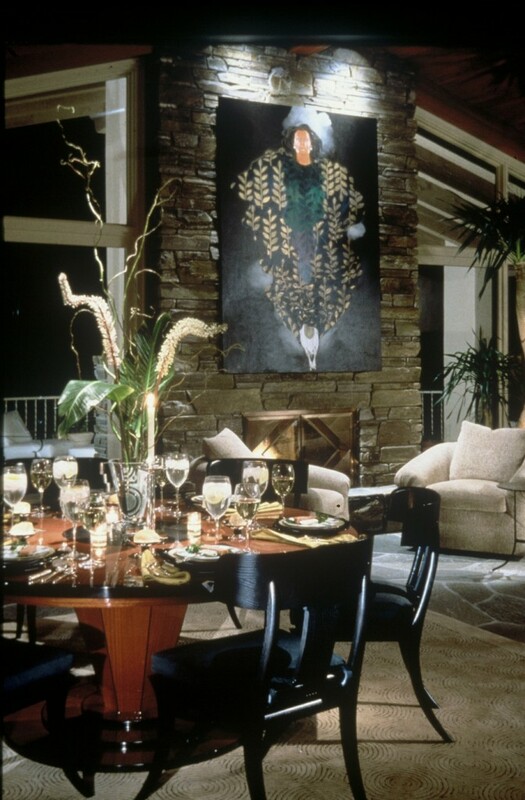 Art can be so important to interior design that it should never be just an afterthought. When I introduce wall art to a space, I consider it carefully, including details such as how it should be positioned on the wall, the size of the work of art and how it affects the overall design. This open space would be dull without the splashes of color this work of art provides. Blank, white walls provide the ideal backdrop for hanging art. Because each are detailed and colorful, I gave them a designated space on the wall to prevent overcrowding. Large paintings like this one serve well as a primary art piece or focal point. The nearby sculptures don’t detract from the overwhelming sense of majesty — their similarity to persons portrayed in the painting only enhances it. One almost senses the sculptures are sentries, holding watchful vigil. 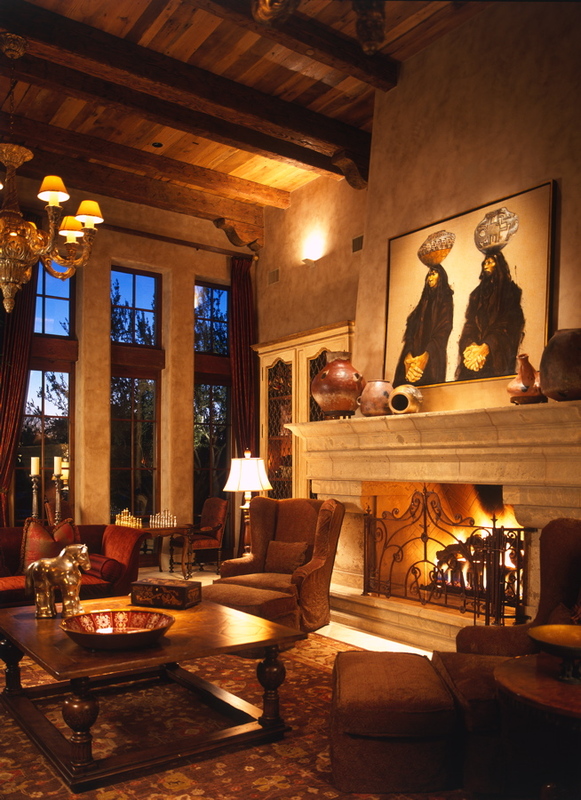 A mammoth stone mantel is the perfect backdrop for this immense painting, which contains enough southwestern flair to fit in with the room’s rustic style. Black chairs tie in with the black in the painting to bring design cohesion. We illuminated it to prevent the dark colors from fading into the stone background. 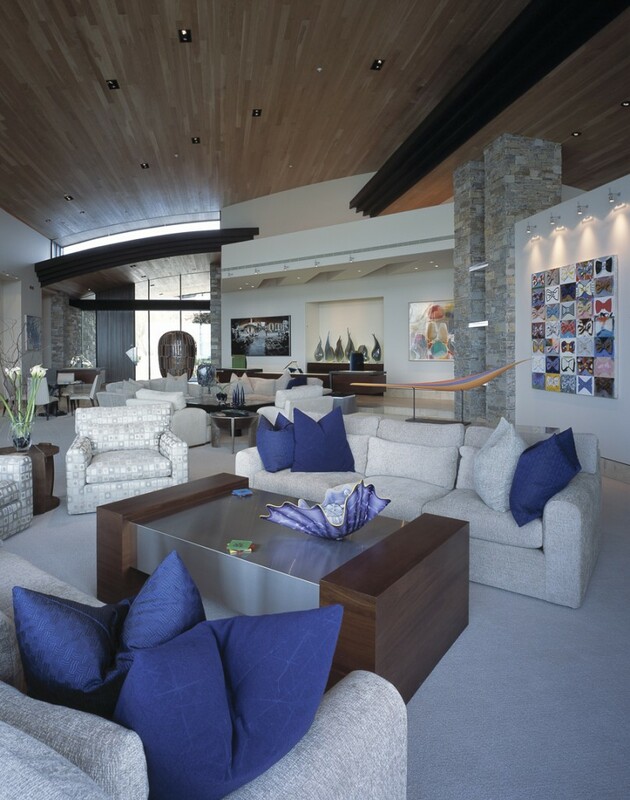 This painting enhances every element in the room above. The background is nearly the same color as the nearby walls, aiding the design flow rather than hindering it. The frame delineates the painting just enough without overpowering it, and nearby pottery underscores the art’s theme. 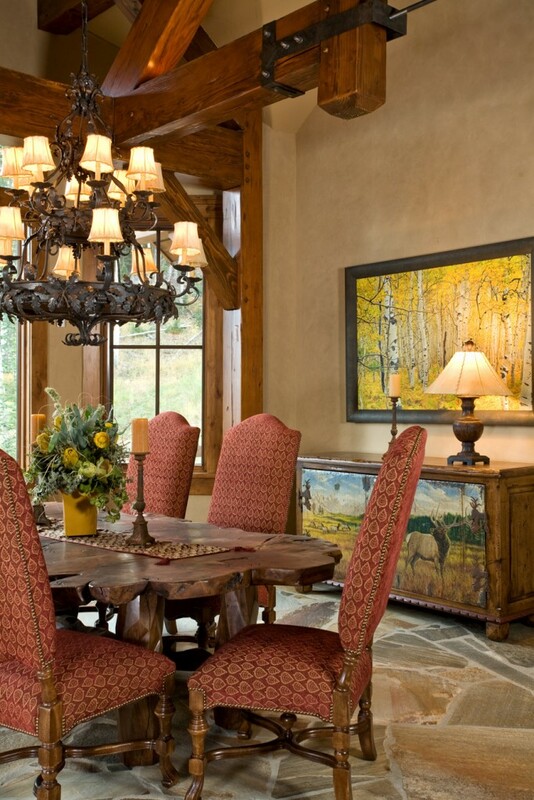 The style of this dining room is elegant, but also possesses a laid-back charm typical of most southwestern design. 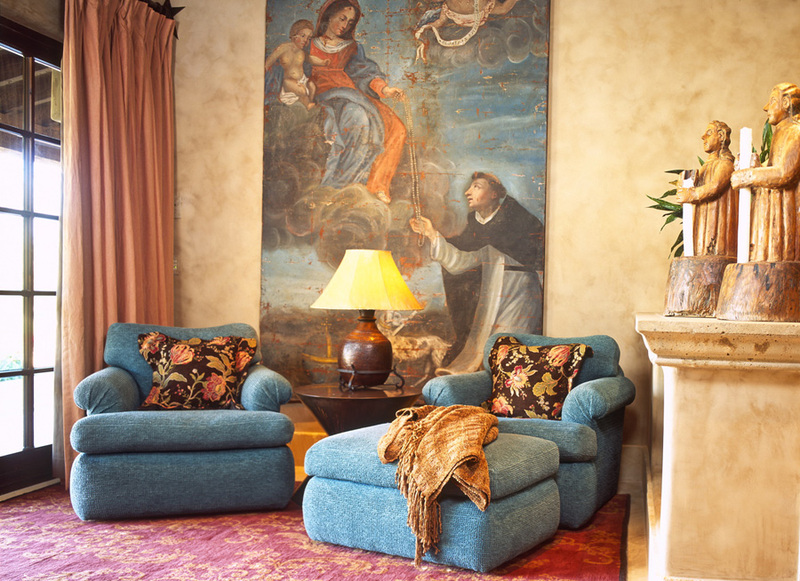 We chose art that injects comfortable charm, inviting guests to relax and take things easy for a while. Its colors connect with the decor, and we hung it low enough to be at eye level for everyone seated to see. I love bringing out the beauty of a space with art. 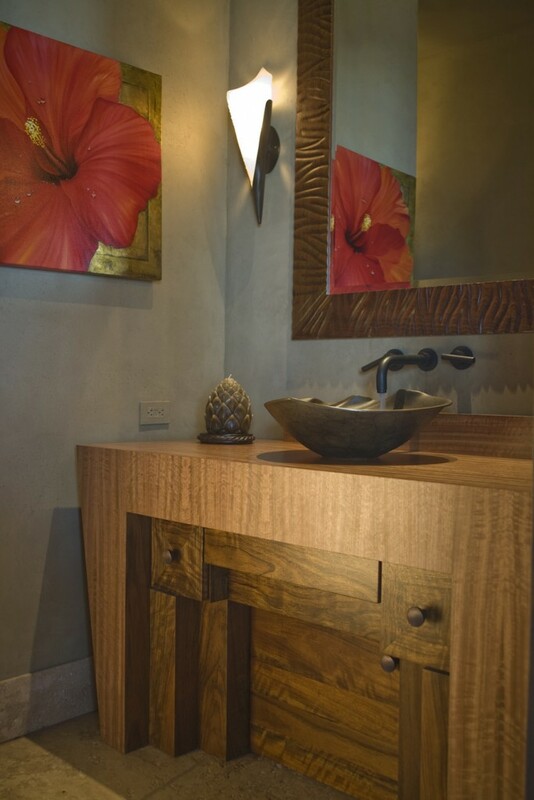 When you’re ready for an amazing change, contact Paula Berg Design Associates for all of your home design needs.